In buildings, fire safety measures are very important in order to reduce the risks that can occur to people and property in case of a fire. It is very complex to know the behavior of all the elements involved in a fire, by interacting with each other. When a manufacturer identifies its product with the CE marking, it indicates that it conforms to the standards and therefore it meets the essential requirements of the regulation regarding all those elements involved in a fire. 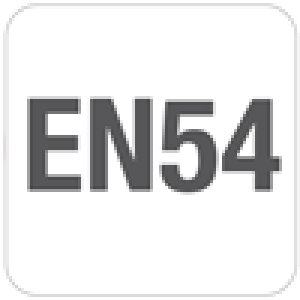 The EN 54 Fire detection and fire alarm systems is a mandatory standard that specifies requirements and laboratory test for every component of fire detection and fire alarm system and it allows the free movement of construction products between countries of the European Union market. It was developed and approved by European Committee for Standardization (CEN, French: Comité Européen de Normalisation). This standard is widely recognized around the world for several countries outside of European Union. It is recognized in Latin American countries, Brasil, African and Asian countries and several islands in the Pacific Ocean. According to the Construction Products Regulation, it is mandatory that Fire Detection and Fire Alarm equipment is certified under EN 54 standard by an authorized certification body. Only when this condition has been satisfied can the CE mark be properly affixed to the product, recognising and demonstrating that the product fulfills the European Union safety and performance requirements and thereby allowing free trade inside the European Union. Therefore, CE mark is a legal requirement for trade within the EU. Any other mark is voluntary and can not substituted the CE mark. The Construction Products Regulation (CPR) has been adopted by the European Commission and replaces the Construction Products Directive (CPD) as from 1 July 2013. It is to ensure the free movement of all construction products within the European Union by harmonizing technical standards with respect to the essential requirements applicable to construction products in terms of health and safety. The main goal is to ensure that construction products are only introduced to the European market if they are fit for their intended use.